December 2-6, 2013, Todai-ji Culture Center, Nara, Japan. Speaker On-4 changed from Jaroslav Burda to Masahiko Hada. 19 - 20 min: PC connection etc. The place for the welcome reception was changed from "Queen Alice Silkroad" to "Halftime". There is no sufficient cloak in the symposium venue, please leave your big luggages in your accommodation. No food or drinks allowed inside "Kinsho Hall" (lecture room). Profs. 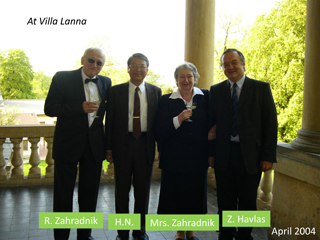 R. Zahradnik, Z. Havlas, and H. Nakatsuji initiated the JCS theoretical chemistry symposium in 2004 based on the high-level scientific relationship and warm friendship among Japanese, Czech and Slovak theoretical chemists. 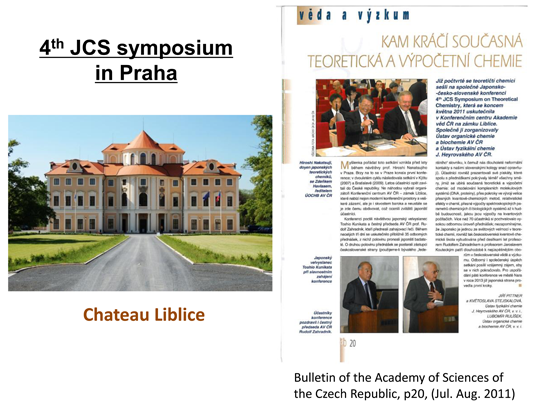 Four previous symposia were held at IOBC in Praha (2005), Fukui Institute in Kyoto (2007), Comenius Univ in Bratislava (2009), Chateau Liblice in Praha (2011). 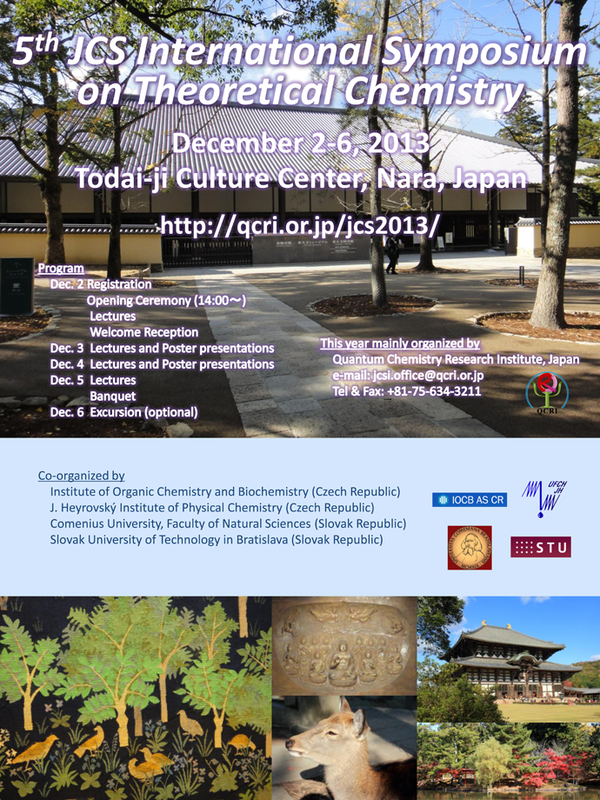 The 5th Symposium is going to be held at Todai-ji Culture Center nearby Nandaimon of Todaiji Temple in Dec 2-6, 2013. 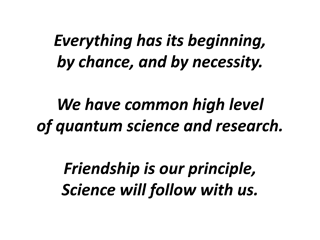 The policy of organization is, as before, "Friendship is our principle, Science will follow with us": the objective of this symposium is to exchange ideas and cultures in life and science and thereby to develop new scientific collaborations through friendly discussions. Actually, several international collaborative studies have already been started through the previous JCS symposia. If you are interested, please join us in Nara in this December. Copyright © Quantum Chemistry Research Institute (QCRI), All rights reserved.